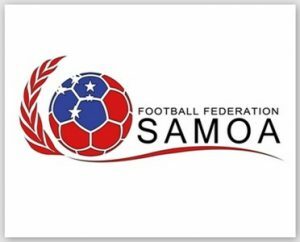 Fun Football, is a grassroots program offered by Football Federation Samoa (FFS) to organizations, communities and schools for free. The initiative began in 2010 to develop and enhance football skills of children aged 5 -15 years old with the aim of giving young players the opportunity to develop basic football skills including running, jumping, landing, dribbling and juggling, in a fun setting and positive environment. 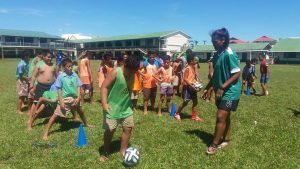 Fun Football was introduced to Marist Brothers School on Monday 6th of March which saw hundreds of class six (6) and (7) students school participating in their first ever Fun Football program. Students were placed into small teams lead by FFS coaches to teach and exercise their football skills. As the only ALL boys school in Apia, Marist Brothers School is known as a dominant breeding ground for sports legends and politicians including the current Prime Minister of Samoa, Head of State, rugby legend Brian Lima to name a few. Since its implementation, Fun Football is one of FFS key-grassroots programs that aim’s to provide an opportunity for children to involve and become youth ambassadors in football. As for Marist Brothers School, the excitement shown by students was refreshing. Fun Football is now part of the School’s Physical Education subject and gets assistance from the FFS technical team every Mondays at 11am wi th classes 5 to 8 rotating weekly. Football Samoa Technical department conducts Fun Football clinics throughout the year on Monday’s and Wednesday at 3:30pm in Tuna’imato Complex as an after school program. Other Fun Football location includes Saoluafata Primary School on Thursday’s at 1pm and Laulii Primary school on Fridays at 11am.